Silence is certainly a part of stealth. 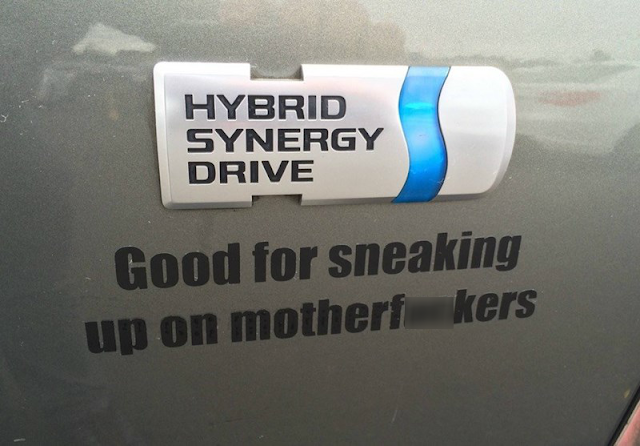 I can only imagine why the owner of this vehicle needs to sneak up on motherf^ckers. Maybe it's because they'd be able to outrun him if they saw him coming.